From Inspiration to Installation, creating a home environment that reflects you is our greatest pleasure! Our knowledgeable and experienced staff of trained Drapery & Fabric Specialists is unparalleled in their commitment to customer service, and will sit down to work with you and design a plan not only to enhance your windows, but to transform your home. Elegant Shutters is a window treatment company, specializing in plantation shutters, blinds, roman shades, and other specialized window treatments. Founded in 2002, Elegant Shutters offers one of the best warranties available for both product and workmanship, offering their clients unlimited lifetime peace of mind. 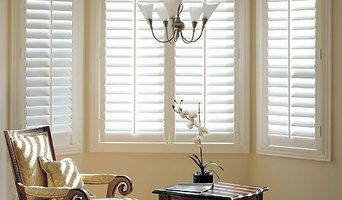 They specialize in primarily interior faux and solid wood shutters, along with measuring and installation. Their process is an ultra-refined, highly-customized one, with client walk-around and installation work-up handled in a similar manner but on an individual basis. Call them today for service and product you can be confident in! 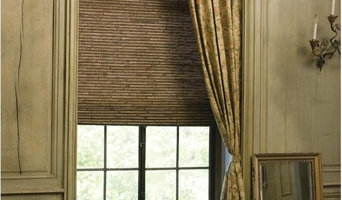 Budget Blinds of New Orleans is a local custom window coverings business that offers convenient shop-at-home service for window coverings such as blinds, shutters, shades, drapery, window film and sound blocking clear window inserts. Budget Blinds of New Orleans was founded in 2007 to help our city rebuild and provide sustainable, living wage jobs for our residents. Since 2007 we've installed over 40,000 window coverings. We're proud to have helped thousands of homeowners and hundreds of businesses and schools find the best window coverings for their style and budget. We carry dozens of major manufacturers and offer products from the simple and inexpensive to the elaborate and very expensive. Call today for a free consultation with a knowledgeable, experienced consultant. We specialize in custom curtains, shades, bedding, and specialty hardware. At Classic Interiors you will find more than great flooring & window coverings. Whether you are shopping for a single window treatment, redecorating your entire house or seeking the solution to a complex design challenge, you'll find great people who have the knowledge and expertise to help you put it all together. Since we're locally owned and operated, we take our long-term commitment to the community seriously, and we are proud of the professional products and services we provide. We are here now - and we'll be here in the future when you need us again. Contact us today for an appointment! Made in the Shade Northshore brings the showroom to you! 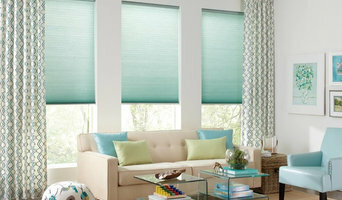 We offer name brand products and great prices for the best window treatments in the industry. Everything we sell is custom made for and expertly installed in your home. Book your appointment today and put your windows on the best dressed list! At All About Blinds and Shutters you will receive quality products at guaranteed low prices. Don't waste time at a home improvement store trying to ask someone how to measure for blinds or shutters. Our services of St. Tammany Parish Blinds will bring you Plantation Shutters, Polywood Blinds, Wood Blinds, Roman Shades, Woven Wood Shades, Solar Shades, Exterior Shutters, and Commercial Services. Hestia is a fine linen store in Covington that has been in business for 15 years. We carry designer linen names like Sferra, Peacock Alley, Lili Alessandra, Bella Notte, Pom Pom at Home, Ann Gish, Moon Rein, Matouk, Pine Cone Hill, Dash & Albert, Jaipur, Thea, Abyss towels and rugs, Juliska and Casafina dishes and glass. Crabtree & Evelyn and Rance. Lamps and mirrors. 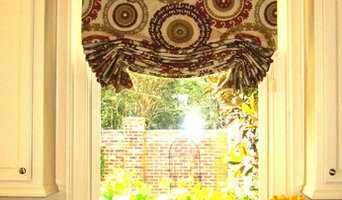 We also help with custom shades, draperies, plantation shutters, blinds. We can even handle all the measuring and installation of motorized rods. As a bonus we offer FREE in-home consultations on bedding or windows to help make sure everything is perfect. We work with several designers and furniture stores to make your home decorating as easy as possible. For 16 years, New Orleans native, Katie Koch, has been designing and engineering beautiful, hand-sewn window treatments for a discerning clientele. From the simple and tailored to the lush and opulent, her imaginative drapery creations transcend trends and interpret her client’s individual aesthetics with a keen eye for detail. Having sewn since childhood and worked in the retail end of fashion for several decades, Koch launched her eponymous business, Katie Koch Drapery, in 1997. She initially worked out of her home and later opened a workroom specializing in drapery, slipcovers, pillows, bedcoverings and upholstery. In 2008, she and her husband, Marc Levy, opened Oops, a consignment store dealing in designer furniture and home décor. Over the past five years, Koch has expanded Katie Koch to include a design showroom with an extensive fabric library and a personally-curated inventory of vintage furniture with an emphasis on Mid-Century Modern pieces, many of which have a designer provenance. Both her shop, located near the Magazine Street shopping district, and her website, are destinations for the design trade and the consumer with an interest in sophisticated and fresh interior design directions. In 2013, Katie Koch added a new line of classic, Billy Baldwin-inspired upholstered furniture and an urbane collection of snakeskin home-accessories imported from Europe and exclusively available to the New Orleans area at Katie Koch. To learn more about Koch’s design services and view her expertly chosen compendium of vintage furnishings and complementary goods, visiting katiekochhome.com. We realize that Time, Cost, and Quality are (3) essential factors that lead to successful completion of projects. Provides you with a variety of products, delivered and installed within the required time frame, and won’t break your budget. Provides window treatments from the best names in the industry; so not only will you get quality, but we also provide you with a variety of products unmatched by our competitors We have general liability and workers compensation coverage, enabling us to work in any environment.